In this week’s roundup of creative web links, we have a bunch of retro web design inspiration, cool examples of animal mascots in web design, a showcase of horizontal websites, a vector character tutorial and a list of some more must-read design blogs. 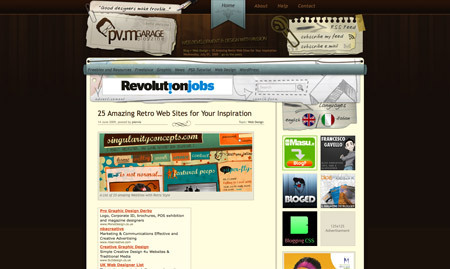 The folks over at PV.M Garage recently put together this great collection of 25 Amazing Retro Websites for Your Inspiration. 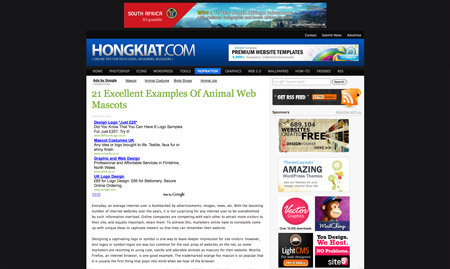 Hongkiat have an amazing roundup of 21 Excellent Examples of Animal Web Mascots, including some of my favourite characters from across the web. 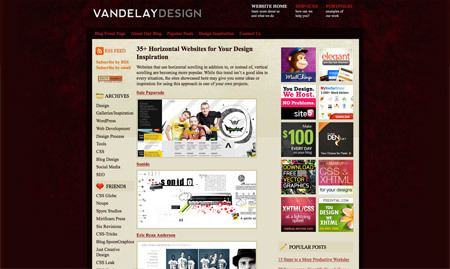 Horizontal website layouts break the mould in web design. The Vandelay Design Blog has this showcase of 35+ inspiring examples. 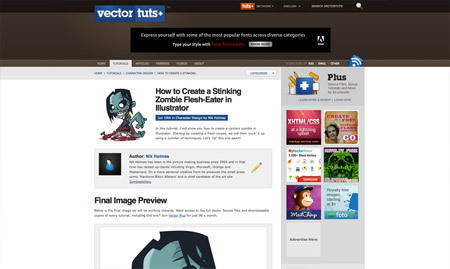 Nik Holmes has written an amazing tutorial for Vectortuts, covering the process of creating a Stinking Zombie Flesh-Eater Character in Illustrator. 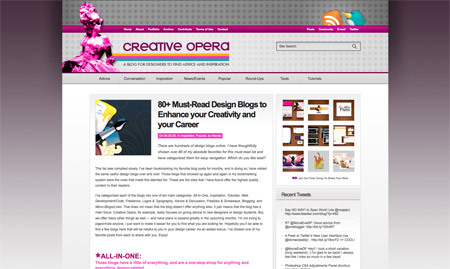 If you’re looking for more blogs to feed your creativity, Creative Opera have listed over 80 of their favourite must-read design blogs. Thanks for sharing, Chris. I’m honored. The retro websites on PV.M Garage are very sweet. So awesome to be included in your weekly favourites, Chris! I love your blogs, and always look forward to your end-of-the week round-ups. There are some great finds in this list, thanks! you have productive listing. i like very much. I find it helpful to show clients great examples of custom CMS design to get them into the mindset of what is possible. This type of inspiration is top notch! great list, i like retro website showcase and zombie tutor.. These weekly favs have been a great source of inspiration for me. Aweseome work I like the tutorial for Vectortuts!